XOLO Q1000 Opus2 Dual SIM was announced in June 2014 and the phone was available for sale immediately after that. It features a 5.0 inches IPS capacitive touchscreen with more than 16 million colors. The resolution of the display is 540 x 960(~ 220 pixel density). The processor of the smartphone is a Quad-core 1.2 GHz; Qualcomm Snapdragon 200, while the graphic processor is Adreno 305. The phone has internal memory of 4 GB and 1 GB of RAM. The operating system is Android OS, v4.3 (Jelly Bean). The smartphone targets customers who want to have an elegant and modern device which can run as smoothly as possible and that can also be affordable for every wallet. In case you purchased this phone and started to notice an increasing number of fatal errors, hangs, slow or unresponsive apps, it could be that your XOLO Q1000 Opus2 Dual SIM was attacked by a virus. 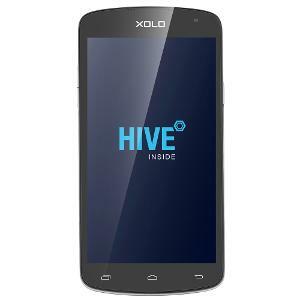 Our recommendation in such situations is to do a hard reset on the XOLO Q1000 Opus2 Dual SIM. Hard resetting is one sure way to remove all possible viruses and refresh the operating system in order to regain functionality of the phone. One thing you should bear in mind is the fact that all data will be lost, which is why a backup is crucial in case you have various files you’d like to keep. Everything from music and photos to videos, messages and apps can be easily saved this way.